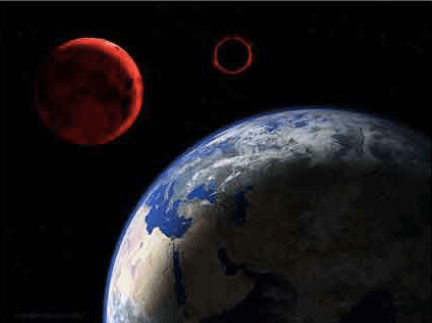 What is the Great Tribulation and Holy Place? Home/Page Two/What is the Great Tribulation and Holy Place? Although Jesus indicated that the desolation of Jerusalem in the 1st century would result in a great tribulation unlike any before, he also went on to say that the tribulation will be a time of unprecedented distress upon all the nations of the earth (not just Jerusalem), of such severity that the continued existence of humanity will hang in the balance. The great tribulation will necessitate divine intervention in order to save mankind from extinction. Because the great tribulation is destined to come upon the entire inhabited earth during Christ’s presence, terrorizing the peoples of the world to the extent of their becoming faint with fright, it obviously involves much more than merely the legislated banning of organized religion. The great tribulation evidently encompasses the jarring collapse of the entire global system, including that which was typified by Jerusalem and its holy temple in ancient times. In brief: The great tribulation is to be immediately preceded, if not precipitated by, global war, food shortages, pandemics, and great earthquakes in various places and a massive falling away of Christians, as well as persecutions and martyrdom for the faithful. Then, after the beginning pangs of distress have served as a signal that the parousia has begun, Jesus said a “disgusting thing” would violate and desolate God’s holy place, which Christ described as a great tribulation that would require Christians to take decisive action. Immediately after the beginning of the tribulation, the symbolic heavenly luminaries go on the wane – signifying the terrifying crash of the present system of things. Then, during mankind’s darkest hour, the sign of Christ will miraculously manifest itself from heaven and the final ingathering of Jehovah’s chosen ones from the four corners of the earth, where they will have been scattered by the tribulation, will be accomplished. The 8th chapter of Daniel also connects the holy place, the sanctuary and the constant feature with the “Prince of the army,” who is Christ. So, the “putting in place the disgusting thing that causes desolation”is in reference to the sanctuary of Jehovah, of which Christ is both the cornerstone and High priest. Given the similar content and wording of the prophecies of Daniel it should be evident to the discerning reader that the holy place that is destined to come to desolation and be trampled underfoot by the nations for an appointed time is the earthly domain of the holy ones – Christ’s true congregation. It most certainly is not Christendom or Babylon the Great. Tragically, few of Jehovah’s Witnesses realize just how convoluted the Society’s prophetic interpretations are. For example, the Watchtower teaches that the king of the north profaned the sanctuary and removed the constant feature when Adolf Hitler and the Fascists persecuted Jehovah’s Witnesses. Contradictorily, the Watchtower also teaches that the king of fierce countenance profaned the sanctuary and removed the constant feature when the Anglo-American king persecuted Jehovah’s Witnesses during the Second World War. Furthermore, the 12th chapter of Daniel also refers to the putting in place of the disgusting thing and the removal of the constant feature, which the Society applies to 1918 and the creation of the League of Nations. So, three prophecies that essentially foretell the exact same thing are interpreted to have been fulfilled in three different ways – all in the past! And yet in spite of applying the prophecies of Daniel regarding the holy place to the persecutions of the International Bible Students and Jehovah’s Witnesses, albeit in three different ways, the Watchtower steadfastly insists that the holy place Jesus referred to, which is destined to be desolated by the disgusting thing of Daniel’s prophecy, represents Christendom! Incredible! No wonder Jesus advised the reader to use discernment. Could the Watchtower be any less discerning in these vital matters? Obviously, the Watchtower and Jehovah’s Witnesses do not have a clear understanding of what the holy place of Christ’s prophecy represents. That is evident in other ways too. For example, for decades the Watchtower taught that the disgusting thing first began standing in God’s holy place back in 1920. That’s when the League of Nations was formed. Then, when the League dissolved at the outbreak of the Second World War and the United Nations came on the scene afterwards, the Watchtower continued to sound the trumpet alarm that the UN was “standing where it ought not.”But how did those two political agencies come to stand in the holy place of God? Jehovah’s Witnesses thought that simply because the clergy generally accepted the League and the UN, and some clerics apparently even viewed them as earthly extensions of God’s kingdom, for that reason Christendom somehow invited the political disgusting thing to stand in the place of God’s kingdom. So, in reality the Watchtower held two definitions of what the holy place represented. On the one hand they once taught that God’s kingdom was the holy place and that somehow the League and the UN had subverted God’s kingdom by standing in the holy place posing as counterfeits. On the other hand, the Watchtower still teaches that Christendom itself is the holy place because they merely claim to represent God. And for many years the Society urged people to flee out of the doomed “holy place” by becoming Jehovah’s Witnesses. In a couple of sentences the Watchtower, knowingly or unknowingly, negated a considerable portion of its own teachings on this topic. For instance, even though the Society now no longer teaches that the League of Nations once stood in the prophetic holy place, it nevertheless has not rejected the blasphemous and nonsensical notion that God has already adversely judged Christendom and all people who may not have accepted or even been aware of the Watchtower’s proclamations against the League back in the 1920s. The Grand Climax book states that God began pouring out the last plagues in 1922 upon those who supposedly received the mark of the beast, which resulted in apparent everlasting condemnation for the masses of humanity who may not have accepted the Watchtower’s teaching regarding 1914 and the League being a counterfeit of the supposed newly established kingdom of God. This in spite of the fact that the same May 1st, 1999, issue of the Watchtower also published “new light” regarding the separation of the sheep and the goats. Even though the Watchtower has not repudiated the 1914 doctrine or corrected the absurd notion that judgment day began in 1922, Jehovah’s Witnesses now believe that Jesus has not yet sat down upon his throne to judge the sheep and the goats, in fulfillment of Christ’s illustration in the 25th chapter of Matthew. So the Watchtower holds two totally contradictory teachings. One: that the world has already been adversely judged because of rejecting the Watchtower’s 1914 doctrine, and consequently the peoples of the world have already received the mark of the beast. At the same time, the Society teaches that Christ has not yet sat down upon his throne to judge mankind. The Society’s prophetic teachings are nothing if not a hodge-podge of contradictions. While the Society has finally corrected their decades-old errors regarding when it is that Jesus separates the sheep and the goats and when the disgusting thing begins standing in the holy place, they, nonetheless, continue to labor under the falsehood that Christendom is the holy place. This continued error has resulted in a rather muddled understanding of what Christians are supposed to do when the disgusting thing actually does enter into the holy place. Furthermore, if Christendom is the antitypical holy place, why did Jesus say that the disgusting thing would be “standing where it ought not”? 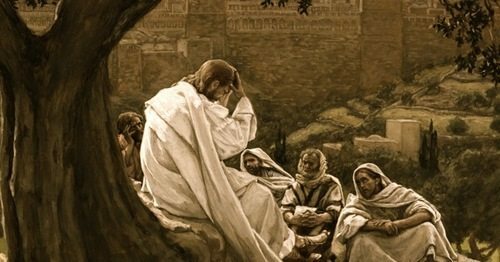 And why did Jesus weep over Jerusalem? Again, the Watchtower has no answer. Indeed, as the Watchtower is quick to point out, most of Christendom has supported the United Nations since its inception. The United Nations, too, has embraced the religions of the world; inviting them to cooperate as NGOs and even promoting its own brand of religion in the form of New Age spiritualism. According to the symbolism of Revelation, though, the religious harlot rides the political beast up until the moment the beast turns upon her and devours her. How, then, is it possible for the beast to stand where it ought not? Unfortunately for Jehovah’s Witnesses, there are many more contradictions and incongruities in the Watchtower’s interpretations. Perhaps the most blatant example of interpretive chicanery, certainly the most far-reaching, is the way the Society misapplies the appointed times of the nations, the so-called Gentile times, which Jesus referred to as being a central feature of the conclusion of the system of things. Jerusalem was, of course, surrounded by the Roman armies in 66 C.E. – that’s one. As already noted, the antitypical Jerusalem that is destined to be menaced by a modern disgusting thing is supposedly Christendom – that’s two. However, the Watchtower teaches that the Jerusalem that will be trampled on for an appointed time began to be trampled on long before it was even surrounded by encamped armies. 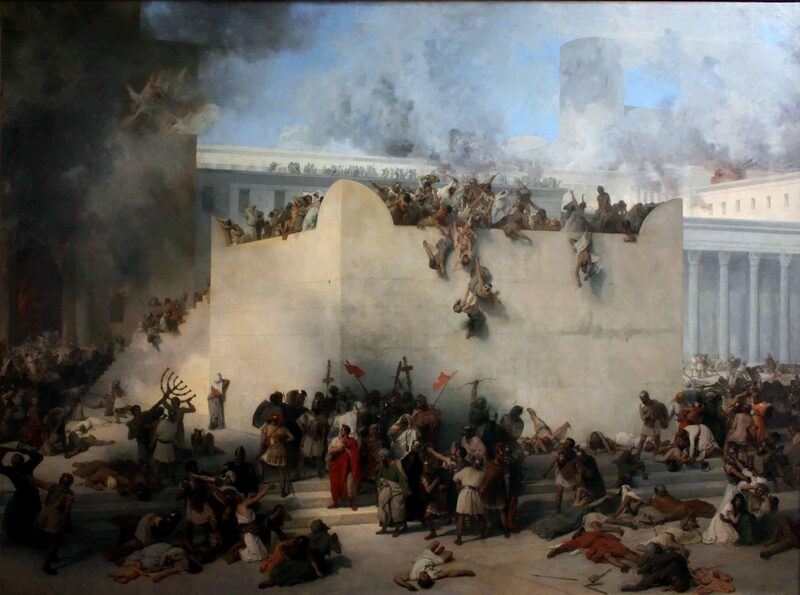 Yes, according to the Society’s sophistry, the Jerusalem Jesus was really talking about first began to be trampled underfoot by the nations way back in 607 B.C.E. – that’s three. But, alas, the antitypical Jerusalem that emerges at the end of the appointed times is God’s heavenly kingdom – that’s four. Of course, the fourth chapter of Daniel makes no mention of the destruction of Jerusalem in connection with the seven times of Nebuchadnezzar’s madness. Nor does it specify that those seven times were the beginning of an appointed time for the nations to trample God’s holy city. Furthermore, there is no mention of the “time of the end” in the fourth chapter of Daniel. The Watchtower merely supposes that the fourth chapter of Daniel relates to the appointed times Jesus foretold. In view of the numerous contradictions and the disharmonious way the prophecies have been stitched together, it is evident that the Society’s interpretations are wholly artificial. Contrary to what we read in the 2nd letter of Peter regarding “no prophecy of Scripture springs from any private interpretation,”it is painfully obvious that the Watchtower’s convoluted teachings are the result of a “private interpretation” of the Scriptures, intended to glorify the Society and conceal God’s judgments. So, when it comes to the question of what the holy city is that is destined to be laid desolate for an appointed time it is important to avoid reading into the prophecy things that simply are not there – contrary to what the Watchtower has done. To illustrate, the Society reasons that Jerusalem has to prefigure Christendom because Jerusalem was rejected by Jehovah. Hence, Jerusalem could not possibly represent that which is connected to Christ’s congregation. But is that reasoning sound? Moreover, is it in harmony with the Scriptures? In spite of that disclaimer Bethel insists that the 1st century pattern is the sole basis for understanding what the holy place represents. That is simply wrong. As already stated, the interrelationship between the prophecies themselves is the basis for determining the correct interpretation. To demonstrate the principle, more than 20 years after the holy city of Jerusalem and Jehovah’s temple had been destroyed by the Romans, the apostle John received the Apocalypse, or Revelation. The 11th chapter foretells of another holy city of God that is destined to be trampled on by the nations for an appointed time of 42 months. Obviously, the holy city mentioned in Revelation is not the literal city of Jerusalem since it no longer even existed when Revelation was written. And yet we find the exact same phraseology Christ used in foretelling that the nations would trample on Jerusalem for a specified period of time. Furthermore, it is evident that the holy city mentioned in Revelation cannot represent Christendom, since God’s two prophets apparently dress in sackcloth to mourn the loss of the earthly aspect of God’s heavenly city. Surely, in view of all of the above, it is evident why Jesus urged his people to use discernment. We can also better appreciate why Jesus indicated that Christians would be required to flee out of the holy city when the disgusting thing manifests itself in the holy place. Since it has been clearly established that the holy place pertains to the congregation of Christ – an organization that cannot be destroyed – that which is due to be destroyed must relate to the earthly organization used by the holy ones; namely, the institution of the Watchtower Society. It is that so-called “visible organization” which must be brought low during the world’s great tribulation. Jehovah’s invitation to “put ourselves on judgment together”is simply another way of describing judgment day. Since Jehovah puts himself on judgment with his servant organization, the judgments contained in the 43rd chapter of Isaiah must parallel the judgment of God’s household of slaves at the coming of Christ. That means that the holy place that is destined to be violated by the disgusting thing is actually the holy place of God and not something that merely claims to be holy – as the Watchtower asserts. It is holy because it is inhabited by those who are the anointed holy ones, or “the princes of the holy place,” as Isaiah words it. It is holy, too, because Jehovah has placed his own holy name upon his servants. Since it is an established scriptural truth that the judgment begins with the house of God, the hardships and tests of 1918 and World War Two notwithstanding, there is no reason to believe that the true house of God has ever been “devoted to destruction.” It is, therefore, evident that the profanation of the “princes of the holy place,”and the handing over of God’s spiritual nation as one “devoted to destruction,” takes place at the beginning of judgment day – that is to say, at the beginning of the great tribulation. That is when the Watchtower Society and her anointed princes are certain to be desolated by the disgusting thing.